FOR me, there are not many flavours or aromas that are as wonderful as freshly baked bread. My childhood has been filled with wonderful and happy memories of tasting piping hot bread, pastries and cakes from my parents’ bakery (Weng Lock Confectionery) in Petaling Jaya since 1966 when I was just a little boy. Even today after half a century of eating bread, I still have a great passion for making bread. The joy of seeing the golden loaves emerging from the oven is beyond description, not to mention the beautiful aroma that fills my nostrils and brings tears of joy to my eyes. The ultimate joy is, of course, the tasting of the baked bread. There is a sense of joy and achievement at the end despite the laborious work and long hours toiling in the kitchen. This is the true meaning of real passion. Baking is both an art and a science. You need to have a passion for baking as the process can take many hours and the result may not be what you expected. In order to bake a good loaf of bread, you need to learn the fundamentals of baking. In order for you to bake a good loaf of bread, you need to learn the fundamentals of baking. The most important one is, of course, the understanding of the steps in the bread-making process together with knowledge of the functions of the ingredients. With this knowledge in hand, you can produce any type of bread that you desire. The four basic ingredients in making bread are flour, yeast, water and salt. Other ingredients like sugar, butter and eggs are added to enrich the bread, making it softer and also to taste better. All bread-making processes start with mixing. The importance of dough mixing has been overlooked by many. Personally, I feel this is the most important step in bread-making. Let’s look at the function of mixing. Mixing is the kneading of the dough by hand or machine. The objective is to develop the dough to form a thin translucent film that does not break when stretched out thinly with both hands. During the dough development, protein glutenin and gliadin in the flour comes into contact with water when kneaded together to form a three-dimensional network called gluten, which is both elastic and extensible. 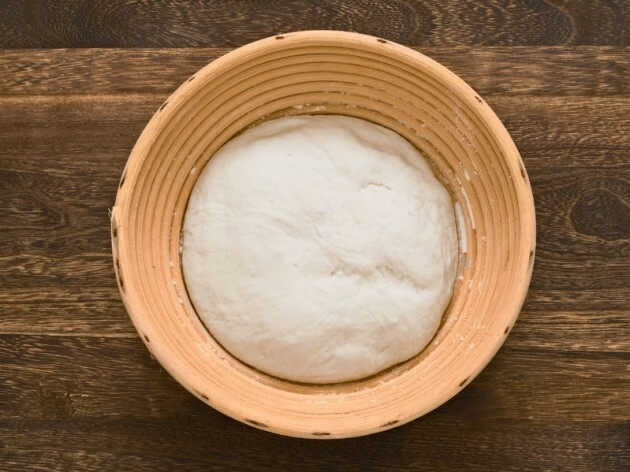 This transformation is necessary for the dough so that during proofing of the bread, the gluten structure in the dough is able to stretch to its maximum volume without breaking when the yeast starts to ferment and produce carbon dioxide gas to leaven and aerate the dough prior to baking. This is analogous to changing the structure of the gluten from one that resembles a basketball which is not elastic or extensible to that of a balloon that is very elastic and extensible. This is the beginning of making a good loaf of bread. In Malaysia, due to the hot weather throughout the year, it is necessary to use ice cold water to make bread. This is because during the kneading process, the dough rubs against the dough hook and the mixing bowl creating a lot of friction which heats up the dough. This will give rise to warm and sticky dough that is difficult to develop and manipulate. The result is a loaf of bread with poor volume and texture. Often inexperienced bakers do not add enough water during dough mixing. This will also result in a loaf with poor texture and volume. The second important step in bread-making is the process called fermentation. After the dough is mixed, it is left in a warm place in the kitchen (27 °C) to ferment until it doubles in volume. During fermentation, the yeast cells start to consume sugar and release carbon dioxide gas which helps to aerate the dough, at the same time it produces acids and alcohol. The acid and alcohol eventually react and forms ester. The esters are aromatic compounds that give rise to the nice aromas of baked bread. During fermentation the dough rises to double its volume. During this maturation period, the gluten strands begin to rejoin and become more extensible and elastic as the dough rises to double its volume. This will normally take from one to three hours at room temperature depending on the amount of yeast used in the formulation. When the dough is fully-matured, it will have maximum elasticity and extensibility. The next step would be to divide and roll the dough into small balls. After rolling the dough, the dough is rested for 15 minutes before it is moulded into a cylindrical shape and placed in the baking tin. It is important that the dough is placed in a warm place with humidity of about 85% for proofing. Proofing the dough is next. The dough is placed in a warm place (30 – 37 °C) for it to rise in the tin. It is important that the dough is placed in a warm place with humidity of about 85%. A dry place will cause a skin to form on the dough and prevent maximum expansion. You can improvise by placing it in a large container with a tight-fitting lid, placing the tins on a tray which is raised a few inches and the container filled with hot water. The dough should at least double in size before you can bake. This will take from one – two hours. 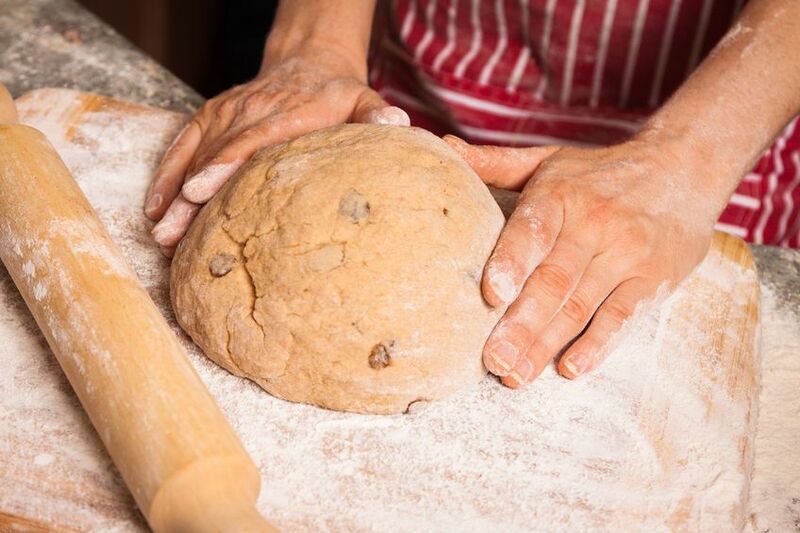 The finger indentation test is the best way to check when the dough is fully proofed and ready for baking. You simply press the dough lightly with your finger and the dough should spring back very slowly to its original position. Baking is the most critical step in bread-making. Baking time and temperature are inter- related and they are dependent on several factors such as sugar content, size and density of the fully-proofed dough. If the dough is high in sugar, large in size and very dense, then the baking temperature must be lowered and the baking time extended. In the last decade, a lot of people have started to bake bread at home. The reason is because it is hard to find a loaf of bread that is wholesome, healthy and free of many additives and preservatives that are unhealthy. Also, consuming wholegrain bread and multigrain bread containing lots of fiber and minerals can help us attain good health. This is in addition to consuming lots of fruits and vegetables. Everyone knows that excess sugar intake is bad for our health, so we should try to avoid eating sugar-rich food. 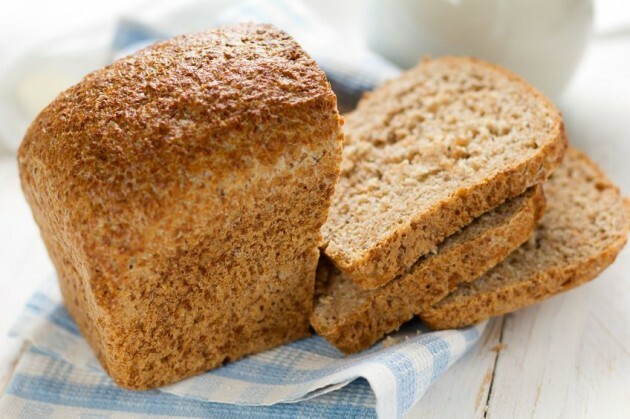 You can make a great tasting loaf of bread that is sugar-free and has a low Glycemic Index. The taste is amazing when you have it fresh from the oven with a dollop of butter and nothing else. Here’s a Wholemeal Walnut Bread for you to try at home. If you have decided to start baking and do not know where to start, why not attend one of our baking workshops. The baking workshops are conducted by Don Yong. For details, go to www.kuali.com/bakewithkuali/.